Why skim the cream from your life? It is the richest part! 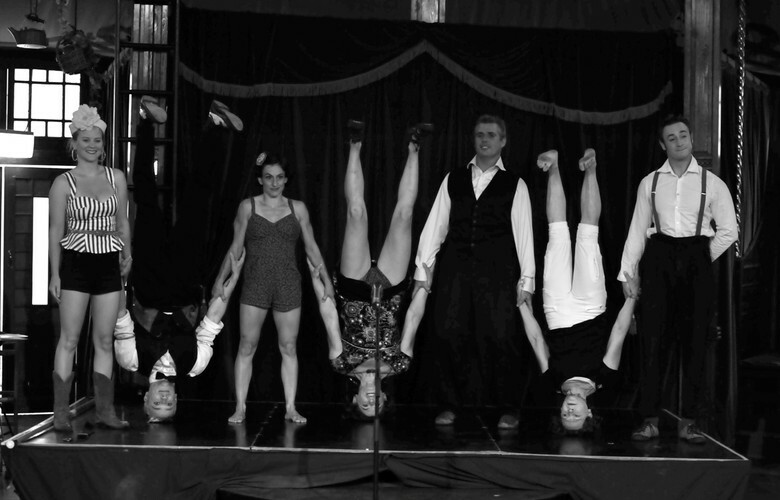 5 diverse and experienced performers carry their own richly muscled, musical stories into the intimacy of the circus Big Top this Easter. An extravaganza of physical story telling, multi-decade 3 person pyramids, inverted toe hang harmonica tunes and a tight rope held up with thighs of steel. Take this rare opportunity to see Full Cream Circus at Hoopla, Darling Harbour. Sydney Premiere. 3 shows only!